On April 19, 2018, the FCC issued a public notice of a temporary freeze on applications for new or modified fixed-satellite service earth stations and fixed microwave stations operating in the 3.7-4.2 GHz band. This is the C-Band downlink. The notice also established, as a limited exception to the freeze, a 90-day window allowing existing entities that now own Fixed Satellite Service earth stations to register or license them if not currently licensed or registered. During this 90-day window, earth station users of this band can also modify currently licensed or registered earth stations. The FCC explains plainly that the purpose of the freeze is to preserve the status quo in the C-Band pending FCC action in its open inquiry into “the possibility of permitting mobile broadband use and more intensive fixed use of the band” pursuant to Docket 18-122. This is known informally as the “mid-band proceeding” and it is a freight train. Congress, in the Mobile Now Act (Part of the 2018 Appropriations Act), called on the FCC to study the feasibility of federal and non-federal sharing of the 3.7-4.2 GHz band and to submit a report to the Secretary of Commerce and Congress within 18 months. In other legislation, the Repack Airwaves Yielding Better Access for Users of Modern Services (Ray Baum’s Act), the NTIA and the FCC are required to submit reports evaluating the feasibility of allowing commercial wireless services to share use of specified frequencies between 3.1 and 4.2 GHz. If such sharing is feasible, the reports must identify which of the frequencies are most suitable: (1) for sharing with commercial wireless services through the assignment of new licenses by competitive bidding, (2) for sharing with unlicensed operations, or (3) for sharing through a combination of licensing and unlicensed operations. So there is a direct threat to the C-Band. As noted in the public notice, there is a 90-day filing window for Receive-Only Earth Stations that have not been registered or licensed and current registrations and licenses can be modified. 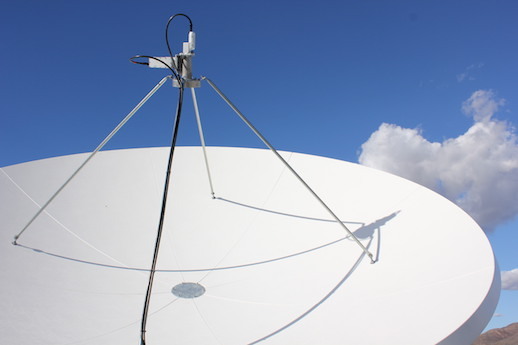 It is critical that you immediately see to the licensing or registration of your C-Band receive-only earth station within this window or risk losing the programming feeds. The window opened April 19 and it closes July 18, 2018. Don’t miss this opportunity. If you need help with your registration, contact Gary Stigall at Signal Wiz.